The African Urban Research Initiative (AURI) was initiated in 2013 to support existing and future Africa-based research centres to inform and enhance the policy actors and networks responsible for sustainable urban policy and management in different African contexts. The project is driven by the premise that unless an active network of durable knowledge institutions, focused on applied urban research and capacity-building, is urgently established, most African cities will not be in a position to understand their urban development dynamics, let alone address them effectively. Stakeholders of AURI recognise a necessity for research centres in Africa to be networked, order to exchange knowledge, know-how, and expertise, and thereby foster a foundation on the continent of credible and resilient institutions rooted in local realities but engaged with broader trends. The ACC received a grant from the Rockefeller Foundation in 2011 to pursue a project to scale-up applied urban research and practice on the African continent. This facilitated an ACC objective to support existing and future Africa-based research centres, and thereby to inform and enhance the policy actors and networks responsible for urban policy and management in different African contexts. In March 2013, the AURI project was initiated through the organisation of a workshop meeting held in Addis Ababa amongst a number of credible applied urban research centres. Co-hosted with Cities Alliance, this workshop sought to raise the debate and foster action amongst key research and donor stakeholders in the urban field, whilst establishing a shared understanding of the scope and implications (for research and knowledge management) of the urban transition in Africa. 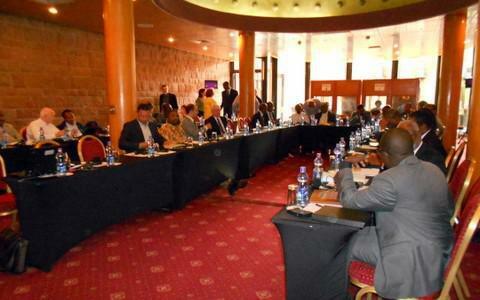 Participants at the Addis meeting agreed to form the African Urban Research Initiative (AURI), with a view to future formalisation, and with a Secretariat temporarily based at the African Centre for Cities (ACC). Building upon these ideas and convictions, the second meeting of AURI was organised in February 2014 with the theme, ‘Institutional models of knowledge co-production in the African city.’ Since 2013, AURI has provided ongoing assistance and expertise to Cities Alliance in the development of their strategy for sub-Saharan Africa.